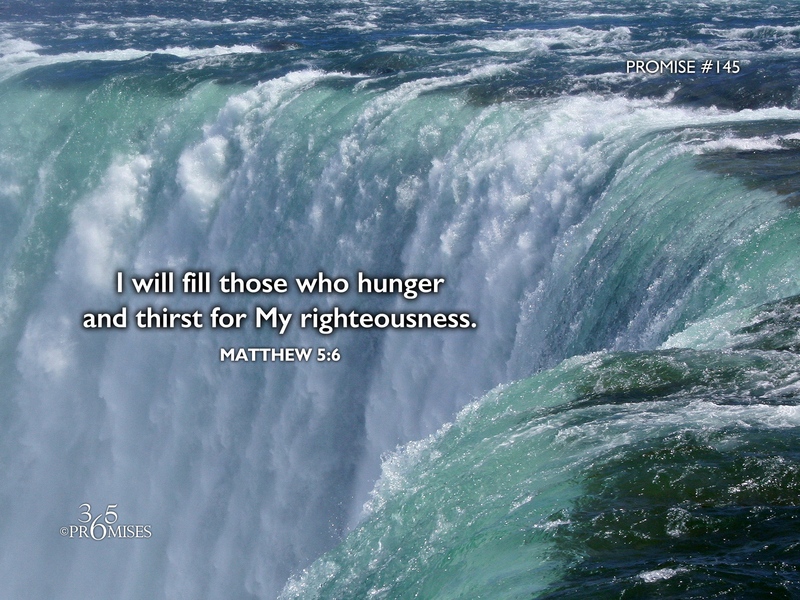 I will fill those who hunger and thirst for My righteousness. When a person is hungry or thirsty in the natural, they are aware that they have an emptiness that needs to be filled and they will look for opportunities to meet that need. For example...Nothing tastes better than a tall glass of chilled water when you are thirsty, or a roasted turkey dinner when you are famished. However, if you try to offer a person an all-you-can-eat buffet after they have just finished eating, then they will probably politely decline. I think it works the same way in our spiritual life. When we are thirsty for the things of God, all our spiritual senses are open to pursue the things that will quench our thirst. I know in our ministry travels, my wife and I meet a lot of spiritually hungry people. I believe that this hunger stirs up people's expectations which creates at atmosphere of faith in the room. I enjoy speaking in these types of meetings the best! However, being hungry can feel frustrating at times. Instead of feeling the satisfaction of being full, a person is left in a place where they are still longing for more. The longer a person is in that place, the more frustrated they can feel. After all, no one likes to be hungry for long periods of time. If you can relate to being hungry and thirsty for God, be of good cheer! In today's promise, Jesus deals with this issue of spiritual hunger and promises that our Heavenly Father will fill every hungry and thirsty heart. If you are hungry for more of God, that is a good indication that you are in a good place! I believe it is God that has created this hunger for more of Him and He promises to fill you to overflowing. Blessed and happy are those who hunger and thirst for righteousness (right standing with God), for they shall be filled!